Experience our new Red Roof PLUS+location, Red Roof PLUS+ Tempe – Phoenix Airport. When you check in to this 100% smoke-free hotel, check out the fantastic higher-end amenities! Our Premium Rooms offer breakfast and a snack ready in your room! All rooms feature, comfy Rest Suite beds by Serta, high-end bedding, new flooring, and a large, flat-screen TV. Experience our complimentary coffeehouse-style coffee and tea in the lobby and take a load off at the pool before exploring all that Phoenix and Tempe have to offer! Book your stay now. Firebird International Raceway‘s Draft Strip, Firebird Lake, Off Road Racing and more is just 10.8 miles away! See the calendar of events here. The Phoenix International Raceway is an easy 24 miles out and hosts can’t-miss NASCAR events like Lucas Oil 150 on November 11, Ticket Galaxy 200 on November 12, and the CAN-AM 500 on November 13. Enjoy horseback riding, hiking and mountain biking at South Mountain Park (11.2 miles). Check out Papago Park (4.3 miles) and Evelyn Hallman Park (5.1 miles) for fishing, hiking and other outdoor activities. Desert Botanical Garden (4.2 miles), come here and explore the unique trails of the Sonoran Desert. Walk the Desert Discovery Loop Trail, Plants & People of the Sonoran Desert Loop Trail, Sonoran Desert Nature Loop Trail, Center for Desert Living Trail, and Harriett K. Maxwell desert Wildflower Loop Trail. Check out the exhibitions and click here for upcoming events. Phoenix Zoo is just 4 miles away. Take a family trip to see animals like the Asian elephant, Mexican gray wolf, spotted necked otter, and more. Visit your alma mater, watch a sporting event, or tour the campus. Maricopa Community College (0.3 walk),Collins College (1.5 miles), University of Advancing Technology (3 miles), & Arizona State University (6.2 miles). Visit Chase Field, home of the Arizona Diamondbacks – just 7.8 miles away! Diablo Stadium hosts LA Angels Spring Training and the AZ League Tempe Angels, Get your tickets today! Purchase game day tickets and head over to the University of Phoenix Stadium (24 miles) to watch the Arizona Cardinals play. Check out the Sun Devil Stadium (3.1 miles) to see Arizona State play a game. Stay at Red Roof PLUS+ Tempe during your trip to cheer on The NBA’s Phoenix Suns (8 mi), the Arizona Cardinals (25 mi) of the NFL or the Arizona Coyotes (25.7 mi) of the NHL. Use VP 618747 to get up to 15% off your stay. Book Now. RUN ARIZONA in 2017 at Tempe Beach Park! Register to run Rock N’ Roll Arizona January 14-15, 2017. With a marathon, 1/2 marathon, 10K, 5K, and KiDS Rock there is a distance for everyone. Plus LIVE local bands along the course! Stay close to the race, stay comfortable, and book at a GREAT rate. 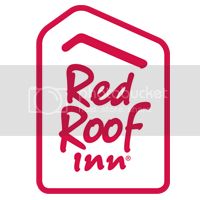 Book your stay with Red Roof PLUS+ Tempe-Phoenix Airport. Reflect back on the 2015 race as you prepare for Ironman 2016 on 11/20/2016! A flat, fast, spectator-friendly course that brings urban charms and desert vistas together. Stay close to the race. Book with Red Roof PLUS+ Tempe – Phoenix Airport. Arizona Science Center is less than 8 miles away. Bring the kids here to inspire and educate them! Save by staying with Red Roof and have more to spend on your shopping spree. Arizona Mills Mall is located 3.2 miles away from us. Enjoy a great meal at Arby’s (2 miles), Denny’s (2 miles), McDonald’s (2 miles), IHOP (3 miles), Rainforest Cafe (3 miles), PF Chang’s (2 miles), Lo Casio Italian (6.5 miles), Sushi 101 (6 miles), RA Sushi Bar & Restaurant (6.3 miles), Kabuki (6.4 miles), House of Tricks (6.7 miles), Gordon Biersch Brewery (18.3 miles) and Four Peaks Brewing Company (21.8 miles) during your stay. Book Now. See a show at one of the nearby venues! ASU Gammage is just 2 mi away, Tempe Center for the Arts only 2.7 mi and Marquee Theatre 3.6 mi away. Downtown Phoenix is just 8.6 miles away and is filled with pro sports games, shopping, live music, theater performances, and an exciting nightlife. In Downtown Tempe, only 2.7 miles away, visit museums, catch a collegiate or pro sports game, enjoy outdoor activities & more. Phoenix Sky Harbor International Airport is a short 3.9 mile drive to Red Roof PLUS+ Tempe – Phoenix Airport. Don’t worry about missing your flight home and stay with us!